The Skyjack SJ 9250 RT delivers a huge platform, soaring work height and heavy duty capacity— all in one package! A fuel efficient GM 1.6L Vortec dual fuel engine powers Skyjack’s robust axle based 4WD system resulting in 30% gradeability. 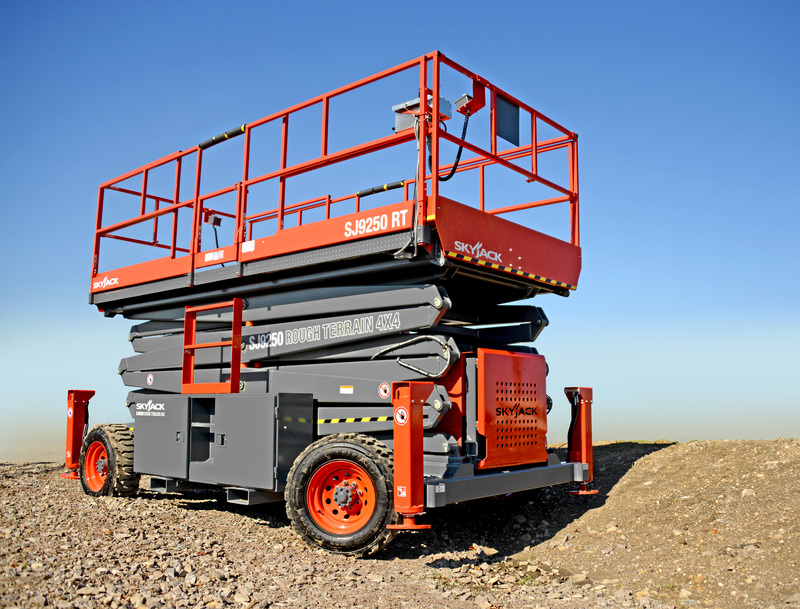 The SJ9250 RT features an expansive platform, up to 24’ in length, when optional 5’ powered extension decks are added to the front and back of unit. With a working height of 56’, overall capacity of 2,000 lbs, and standard independent/auto levelling outriggers, the SJ9250 RT can meet the challenge of any job site. As with every Skyjack model, the Skyjack SJ 9250 RT uses an analog based control system, featuring Skyjack’s standard colour coded and numbered wiring, for ease of troubleshooting.